The Perpetual Eucharistic Chapel is open to all seven days a week, twenty-four hours a day. 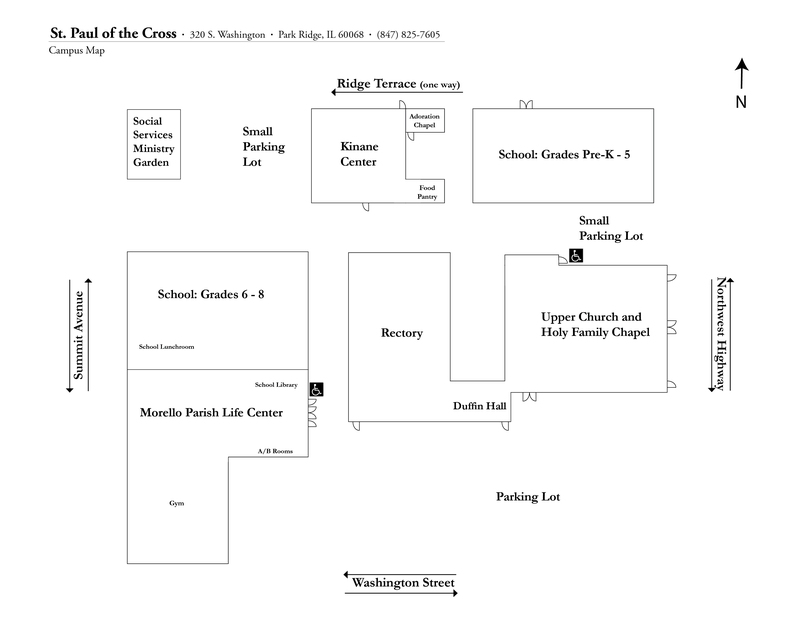 main entrance to the Adoration Chapel is off of the Cabrini Garden. This entrance is only open from 6 a.m. to 9 p.m. The front entrance off of Ridge Terrace is open 24 hours a day, but can be used only with a Security Key Card or a punch-code. Adorers who have committed to hours from 9 p.m. to 6 a.m. will be given Security Key cards and the code. 2 Additional Committed Adorers are required. 1 Additional Committed Adorer is desired. Hours which are Blank have 3 or more Committed Adorers scheduled. Will you answer the call to become a Committed Adorer of Our Beloved Lord? Please contact Bob Maszka with the hour of your choice.